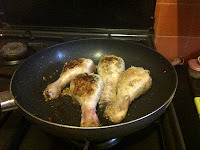 This is my space for recipes that have been personally tried and tested by me. One Nigella Lawson show and quick check on my supplies later I discovered last night that I had all the ingredients to put together her "Mexican Lasagna" and thus find another inspired way of funneling (is that a word?) beans, corn and other such super foods into my children! 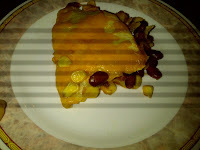 The end result was a bit enchilada like but no complaints because putting it together was simple and made for a tasty, elegant one dish meal - both kids asked for seconds and there wasn't even any chicken in the mix. 3. Pinto/Black Beans/Rajma beans : 200 gms. I used cooked Rajma. 5. Store bought or home made lasagna sauce : About 300 ml. I used a home made ginger and tomato sauce. Ragu's or Prego or even a thick tomato based pasta sauce works just as well. 1. 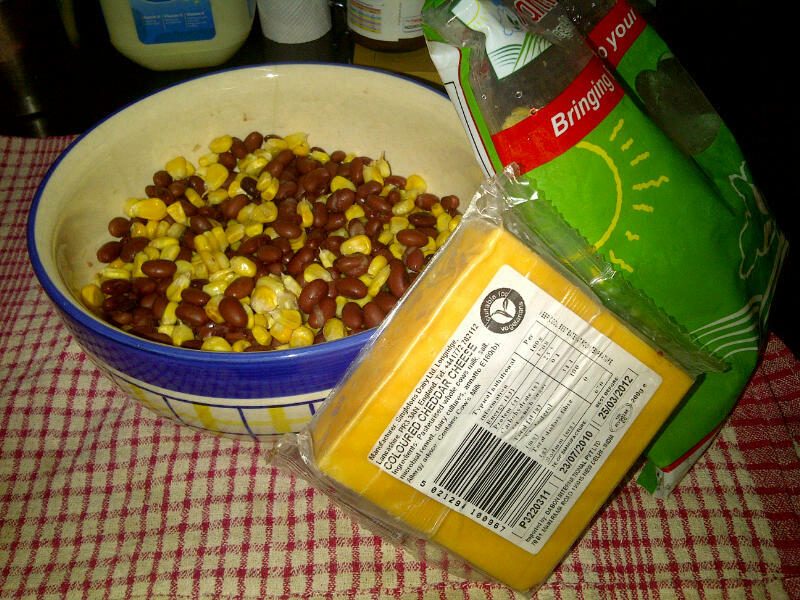 Mix together cooked Rajma beans, sweet corn and 3/4th of the grated cheddar in a bowl. 2. In an oven proof dish pour in a third of the lasagna sauce. 3. Place one large flour tortilla or two smaller ones on the sauce. 4. 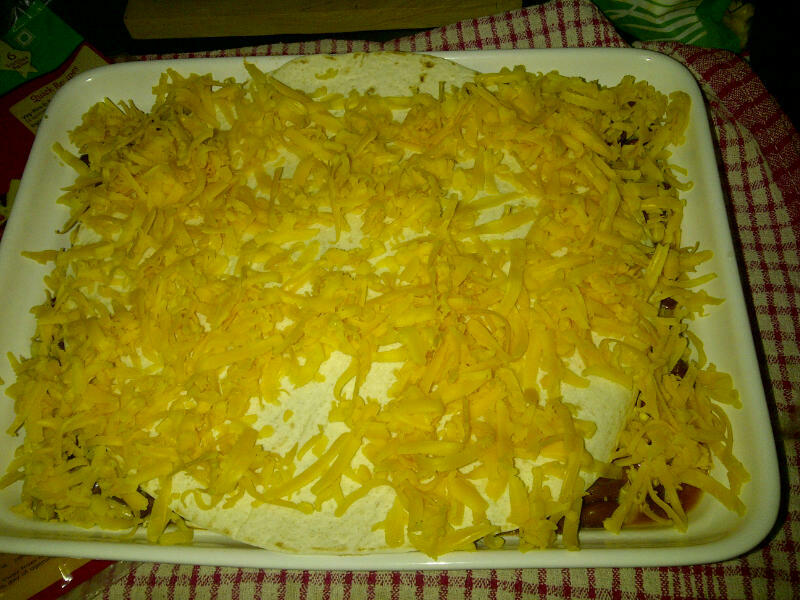 Next layer the lasagna with the bean mixture. 5. Repeat with remaining ingredients finally placing the last tortilla on top. 6. 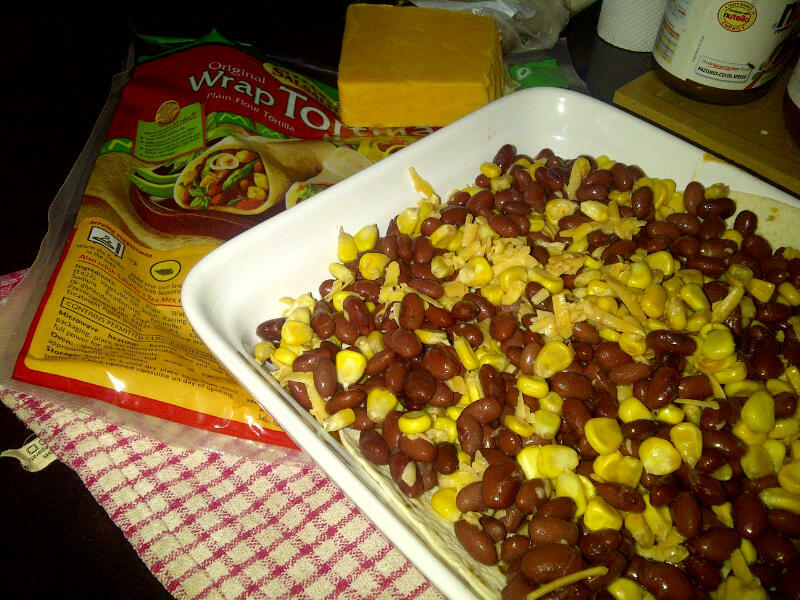 Sprinkle the remaining cheddar evenly over the last layer. 7. Bake at 200 degrees C for 15 minutes till cheese melts and begins to bubble. 8. When slightly cooled, cut into wedges and serve. 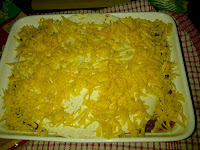 This was one of those dishes that was perfect all by itself - hearty and delicious. Buen Apetito! This usually bland staple had a wonderful zing when I made it for the kids' lunch boxes last week - thanx to my mother's home made tomato sauce. 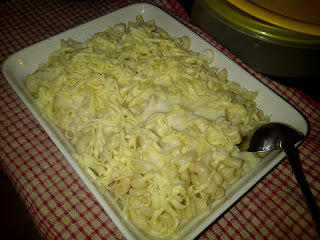 I'm not a big fan of macaroni but this batch was super yummy ... and simple to make. 1. Boil the pasta in a pot of salted water till cooked. Drain in a colander, wash thouroughly in cold running water and keep aside. - Add the flour and stir for a few seconds. - Now add the milk in a slow stream while continuously whisking the butter and flour mixture to avoid lumps. - Simmer the sauce till it thickens and add some of the grated cheese towards the end. - Remove from flame, season with salt and black pepper. 3. 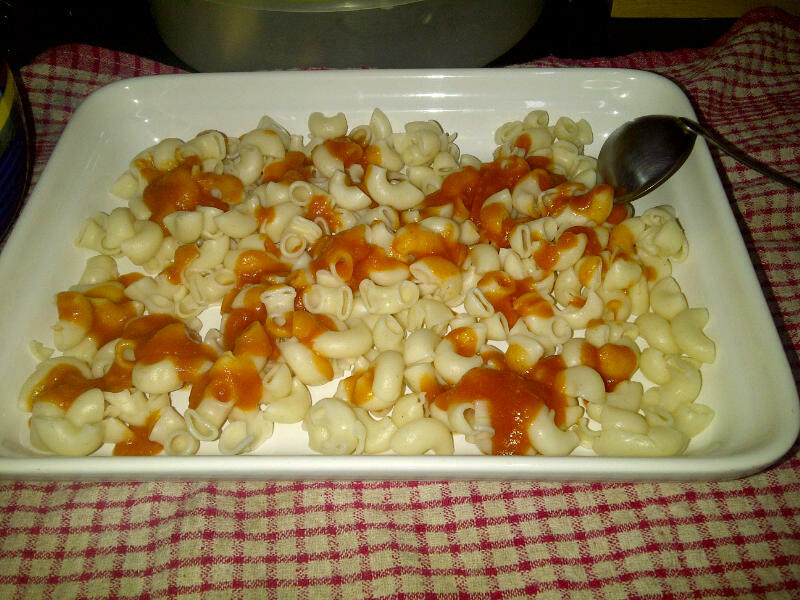 In a baking tray spread out a layer of the cooked pasta and pour the tomato sauce over it. 4. 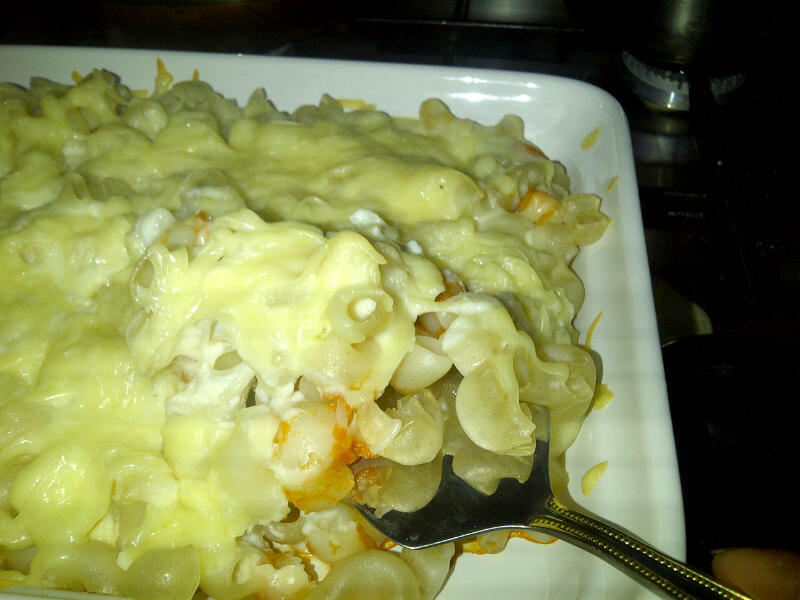 Add the remaining layer of pasta and pour the cheese sauce over it. 5. Sprinkle the grated cheese (add more if you feel it will not top the entire pasta mixture) and bread crumbs over the pasta and bake in a pre heated oven at 175 degrees till the pasta begins to bubble. 6. When slightly cooled cut out wedges and serve. 7. This will keep in the fridge for a day - just warm the pasta for 10 seconds in a microwave before serving. This one is an easy peasey Drumstick recipe that will do for everything for a simple children's dinner to a fairly hearty party snack. The best part is that even if you don't have a grill or barbecue it can be done quickly in a non-stick pan. 1. 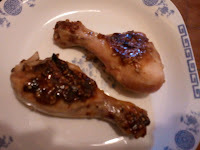 Chicken Drumsticks : 8 pieces thawed. 1. Mix together all the ingredients for the marinade except the sesame seeds in a bowl. 2. 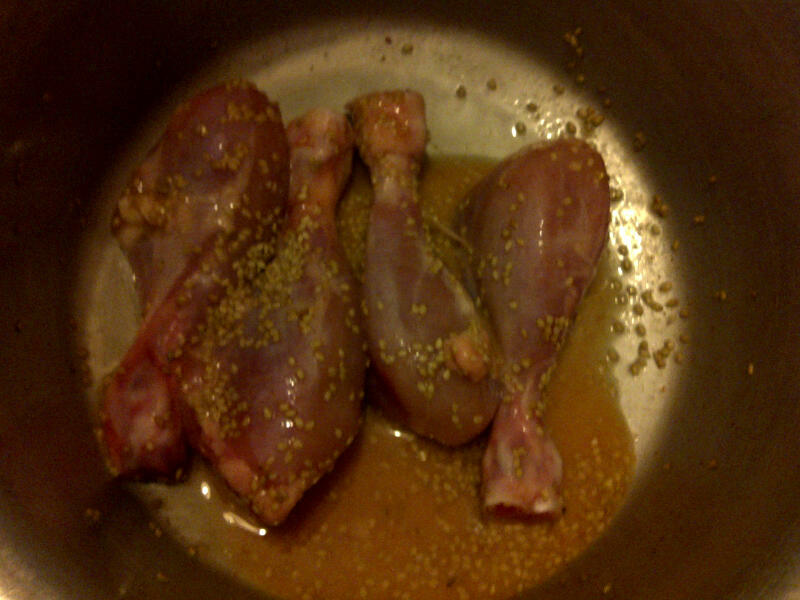 Pat dry the drumsticks and pour the marinade over them. 3. Mix well, add sesame seeds and mix again. 4. Cover with cling film and place in the refrigerator for 10 minutes (These can be marinated in advance for a party or get-together). 5. Brush some oil in a non-stick pan. 6. 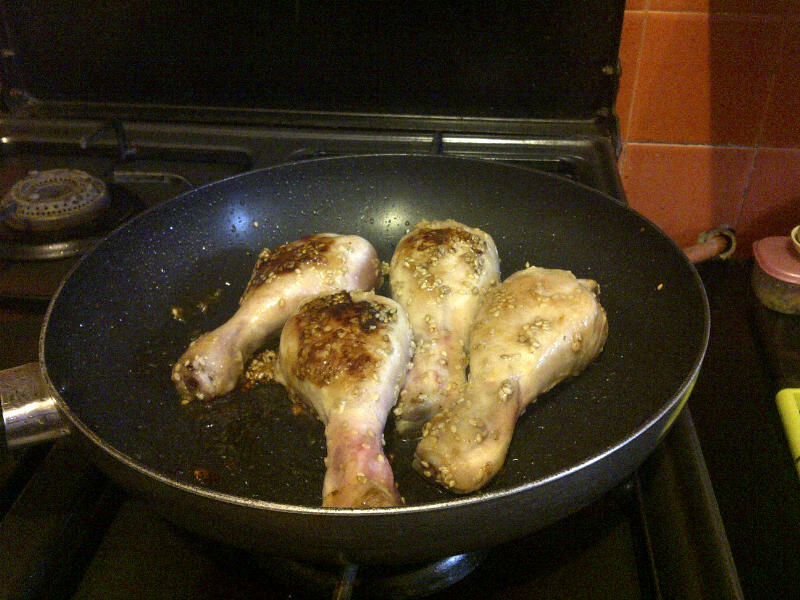 When hot place the drumsticks and cook on either side till well browned (insert a sharp knife in them after turning over to check if cooked). 7. Serve with any dipping sauce of your choice or with steamed rice and veggies. Nags from "The cook in me"